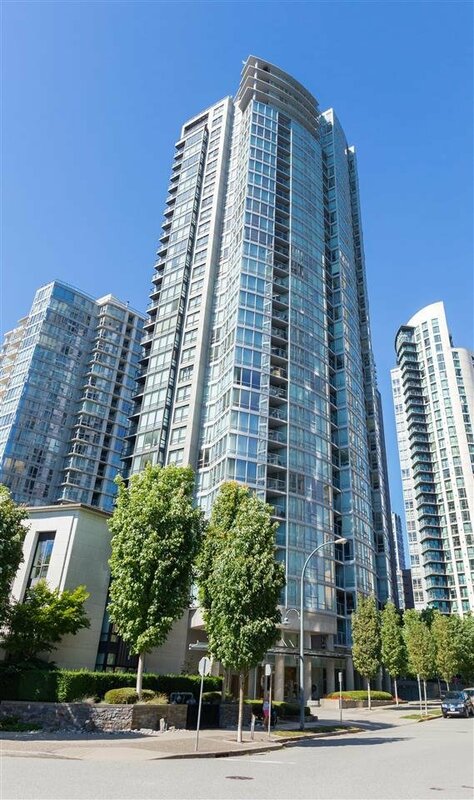 Introducing Azura II! 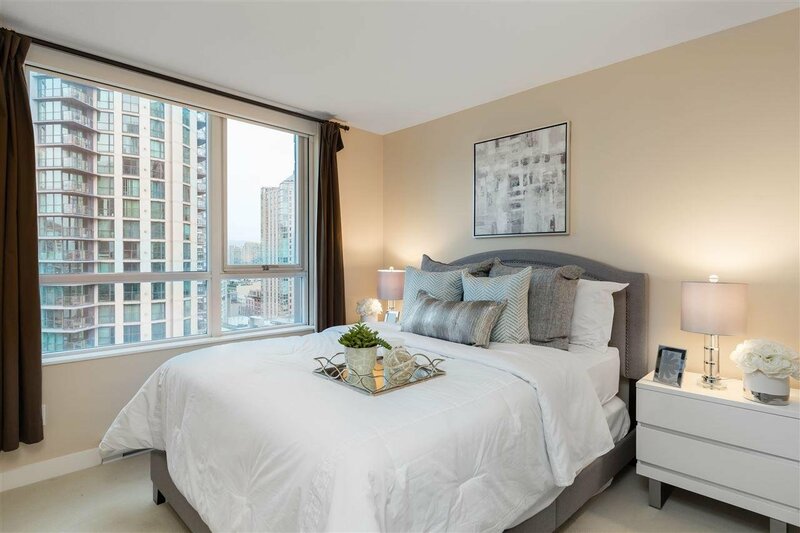 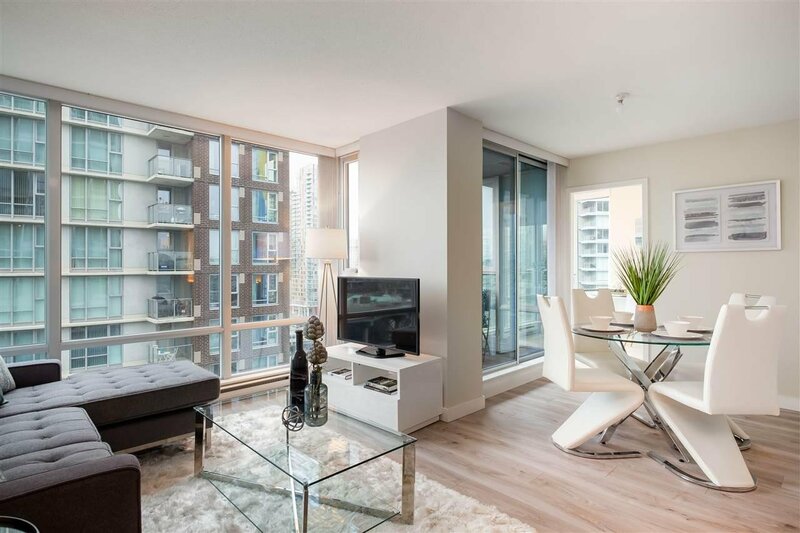 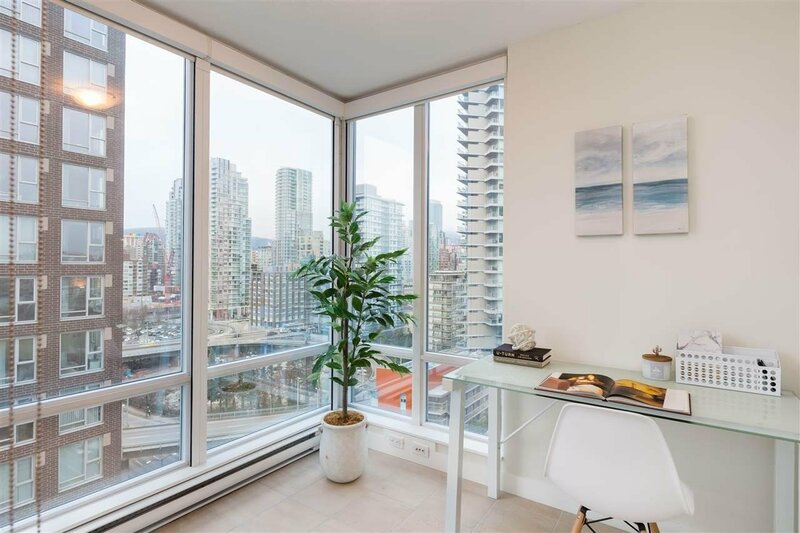 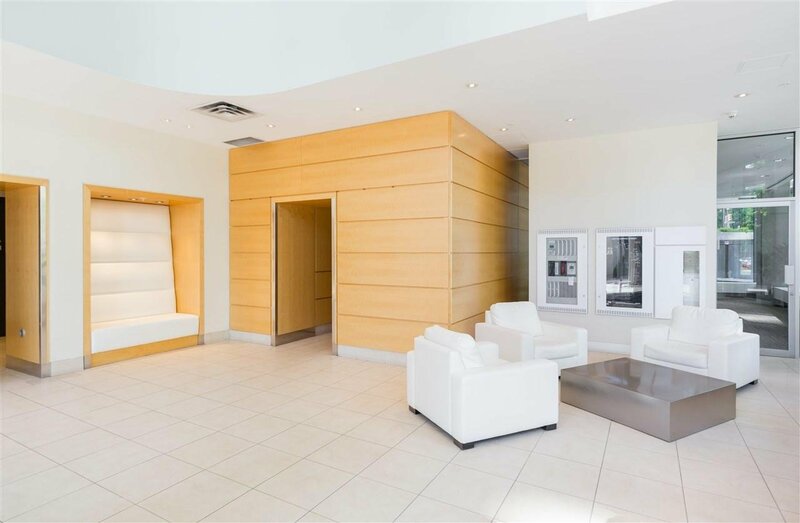 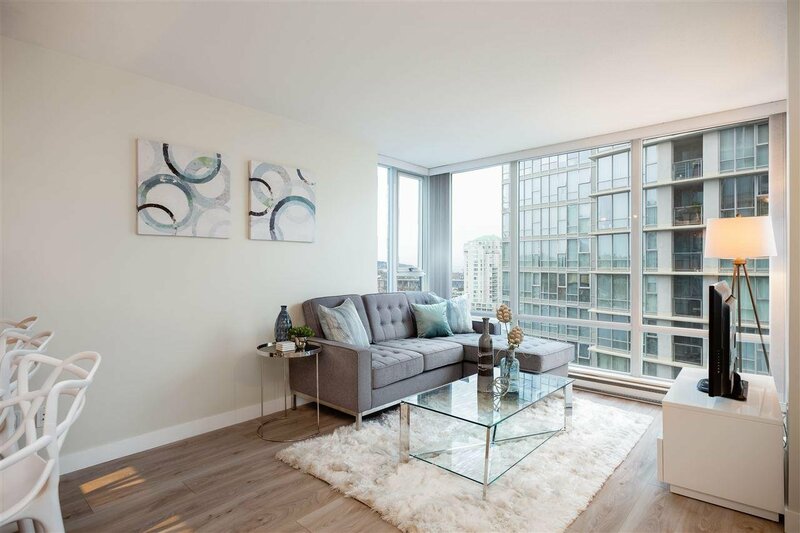 This beautiful 1 bedroom + den + flex, features a spacious, open concept floor plan with large windows for plenty of natural light. 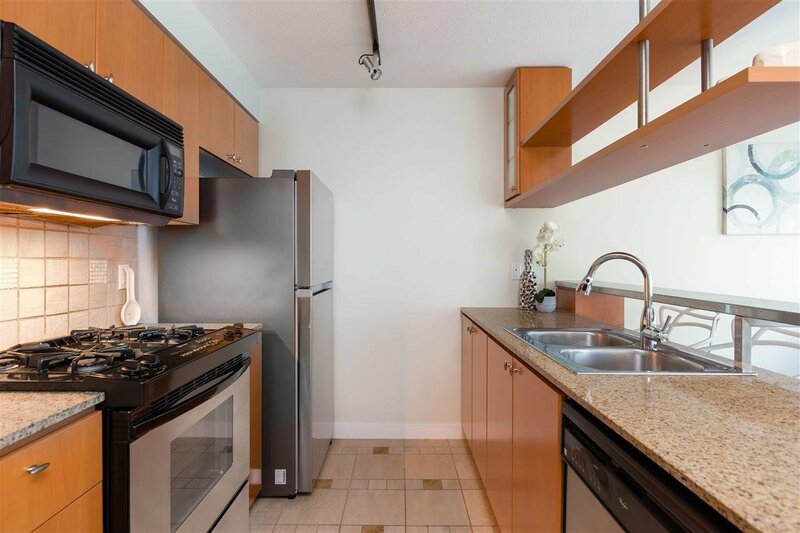 This home features an open kitchen with granite countertops, S/S appliances, gas range, and modern cabinetry. 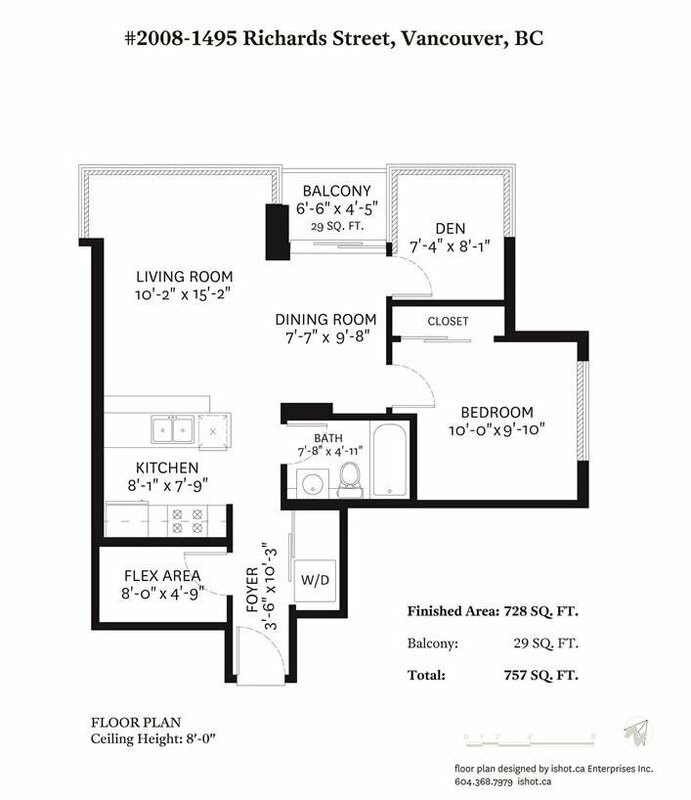  Recent upgrades include laminate flooring, paint, black out blinds, LG full size w/d and built in closet inserts in both the bedroom and flex space. 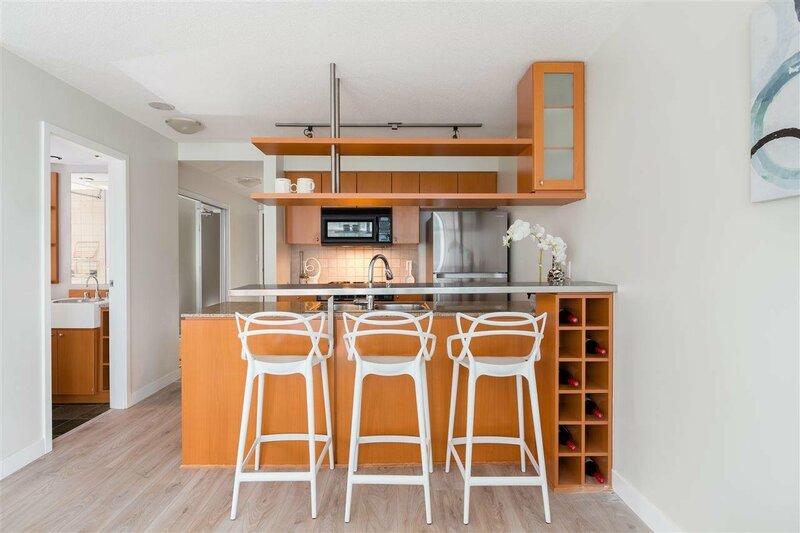 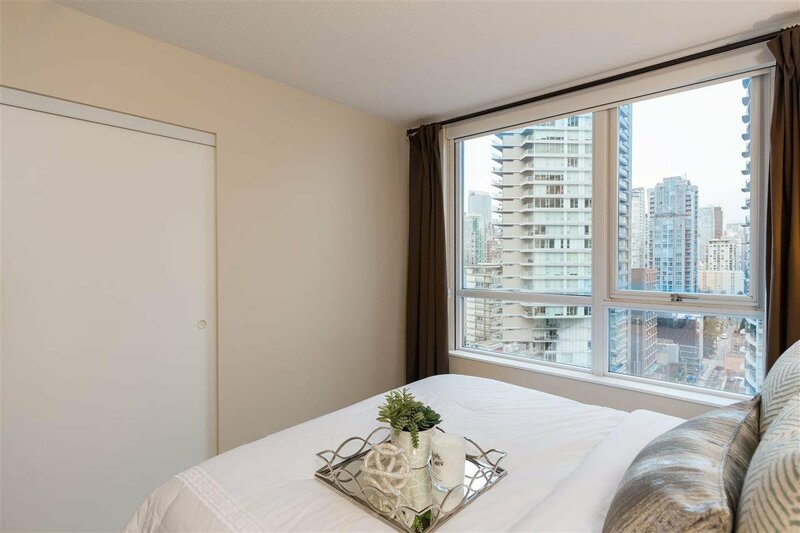 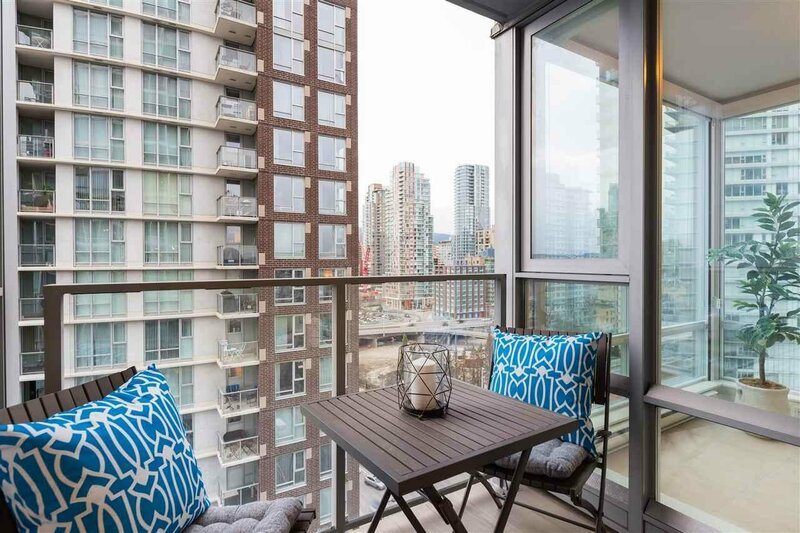 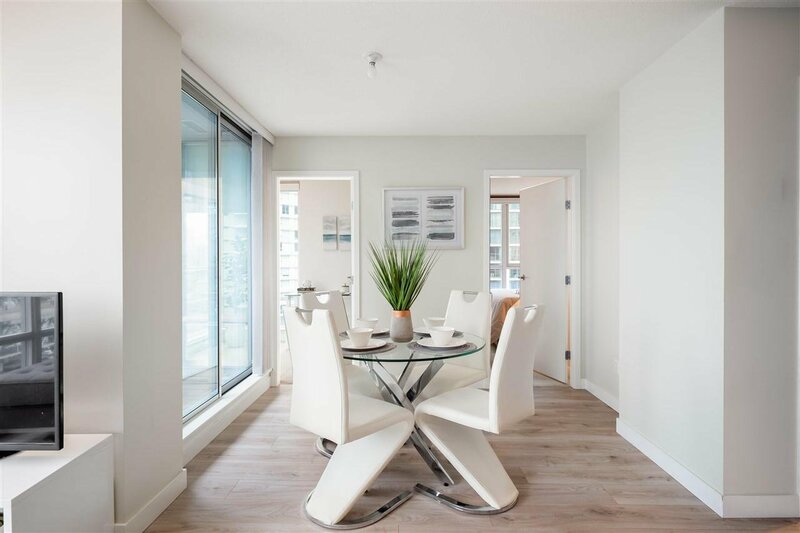 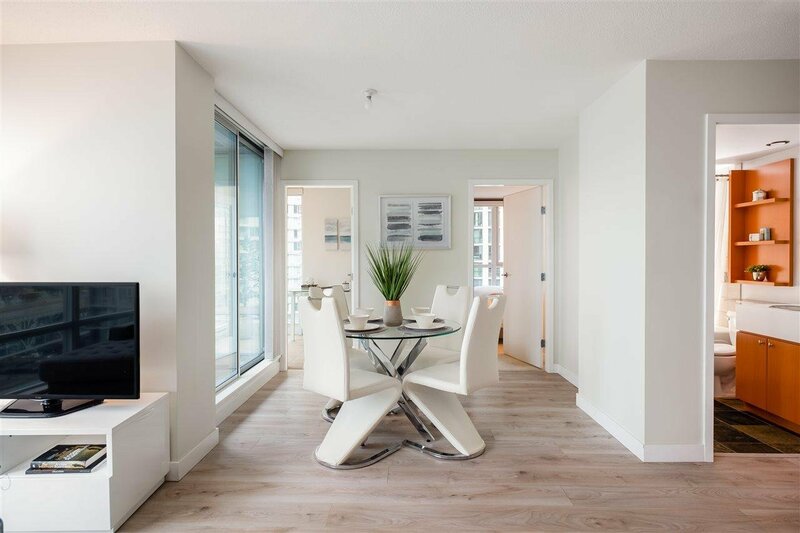 Enjoy stunning sunsets from your West facing balcony of ocean views + Granville Island. 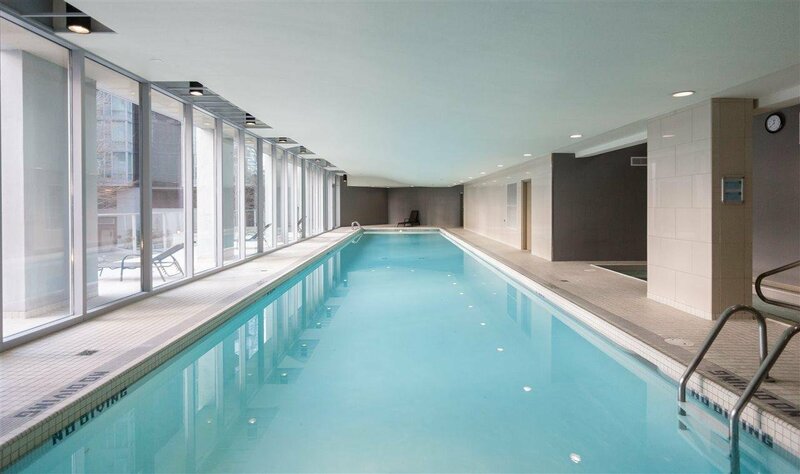 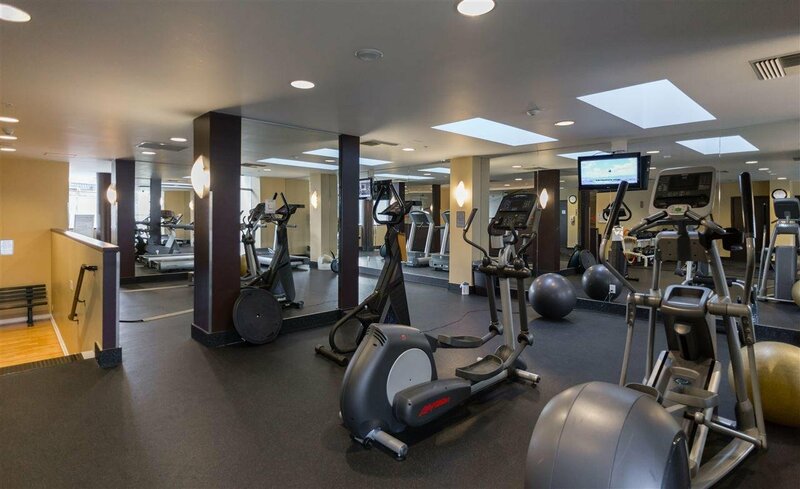 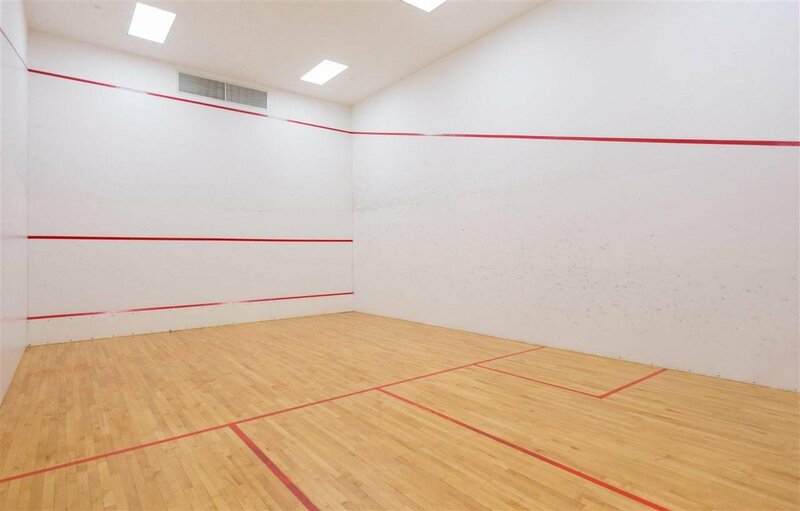 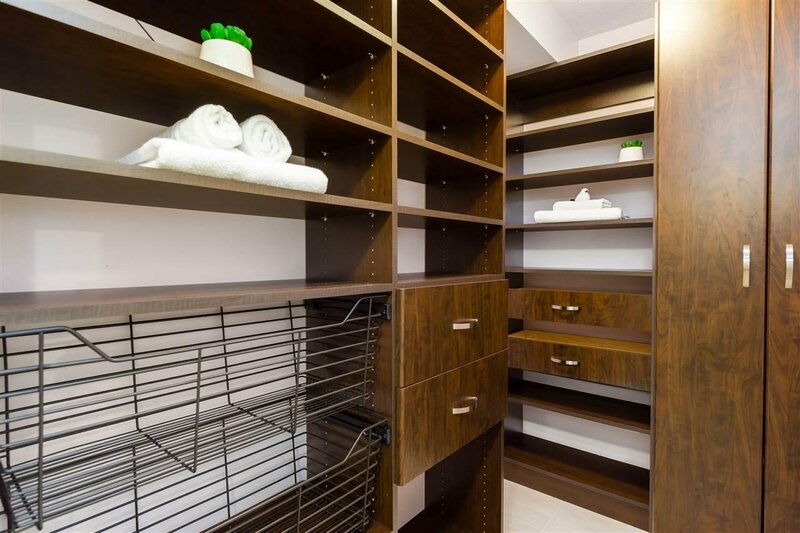 Resort style amenities include a pool, sauna + steam room, squash court, exercise room, media room, guest suite and 24hr concierge. 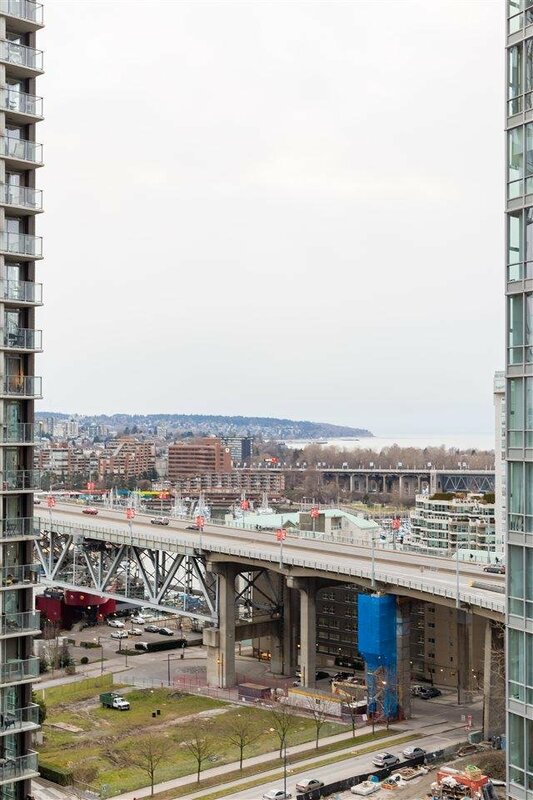 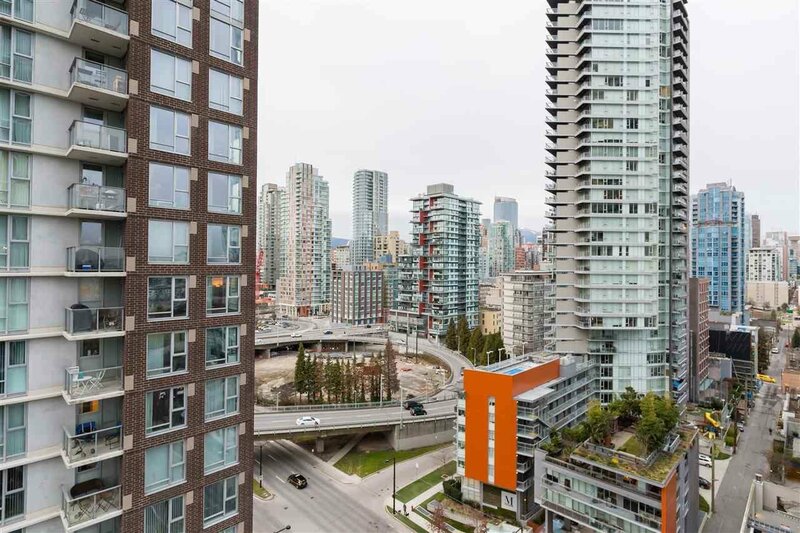 Steps away from Yaletown's finest shops, restaurants, seawall and George Wainborn Park. 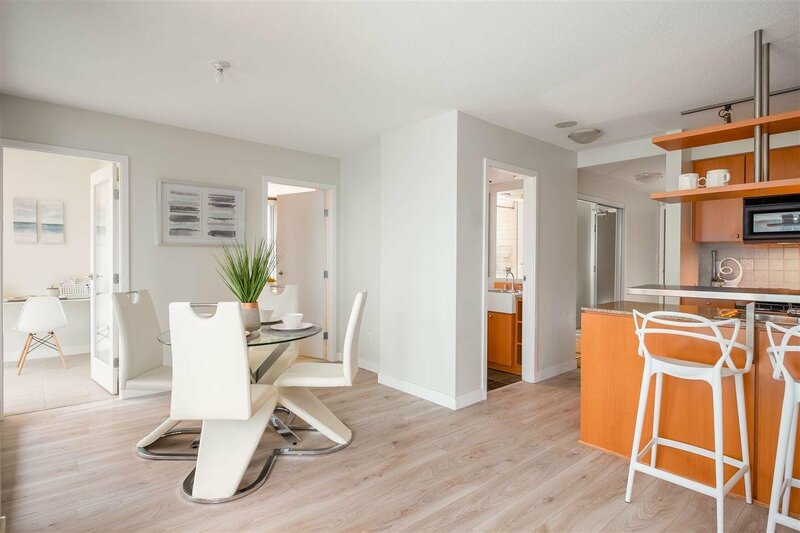 Open House Sun Apr 7, 2-4pm.